A logo means a lot, it can sound like a simple thing but it can also say a lot. A logo has to reflect who you are, hell of a challenge for any designer. Time goes by, 4 years since DROM was first started. We have been learning and evolving as you can see from the above graphic. This is our fourth official logo. This new logo represents greatly our evolution, our learning process. It says a lot, it says who we want to be and which direction we are heading. Our core mission got more accurate : bring innovative, efficient and stylish equipment to Paintball players. Our team has changed; Sofian Bettayeb who co-founded the company with me went in another direction in october 2015, other people joined and all together we built this common ambition. We have had the chance to diversify to other sports. Different regarding our mentality, our mindset, our motivation. Each person who is part of this journey takes pride from these values, each individual in his own manner. This new logo is the continuity of this journey. I hope you will all wear this new logo as proudly as I will. This entry was posted in #YourDecision and tagged 2017, Evolution, logo. 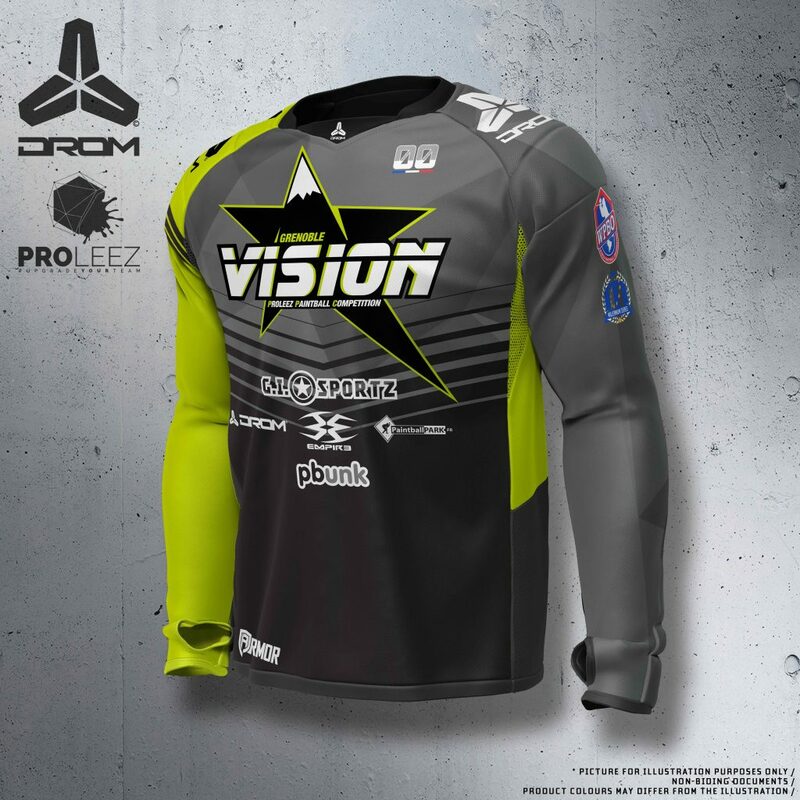 DROM Paintball Custom Jersey, Armor or Agility ?